`: What Makes a Hero? What makes a hero? Does one set out to become a hero? Can we be somebody’s hero without ever knowing we are? Today, when heroes often fall from their lofty pedestals, I’m led to think about those other than family I’ve admired. My very first hero must have been Roy Rogers. He originated happy endings and riding off into a peaceful sunset to the tune of “Happy Trails.” Before his death I saw Roy Rogers on a TV talk show. Same smile and gentle manner, speaking candidly about his love for God, his wife, children, and animals. One of the good guys. In Tuscumbia, Alabama, I walked to and from school along a sidewalk beside Helen Keller’s birthplace. Then she was already a mature lady, but in my mind’s eye I saw Helen Keller, the little girl, playing in her yard—blind and unable to speak. She rose above her disabilities, learned to write and speak, graduated with honors from Radcliffe, wrote many books, and was internationally famous for helping handicapped people. About her life, she said, “I believe that through all of these dark and silent years God had been using my life for a purpose I do not know. But one day I shall understand, and then I shall be satisfied.” Helen Keller was one of the good guys. 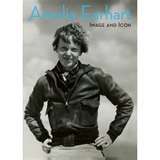 History books at school introduced me to another of my heroes—Amelia Earhart. When women were still denied many of their aspirations just because they were female, Amelia Earhart became the first woman to cross the Atlantic Ocean by air—as a passenger. Four years later she became the first woman to fly solo across the Atlantic and five years after that she attempted to fly around the world. Mystery still surrounds the familiar story of her last fight and its tragic ending. Some speculate that she was on a secret mission for the U.S. military. Whatever the case, she displayed enormous courage and vision. What could Amelia Earhart have accomplished as an aviatrix in this age of space travel? Another one of the good guys. Nowadays when images crumble and role models sometimes lack humility, I’m glad all my heroes wore white hats. Do you have a hero? Please tell us who and why.